Few SA universities offer digital, AI-related courses - SABC News - Breaking news, special reports, world, business, sport coverage of all South African current events. Africa's news leader. 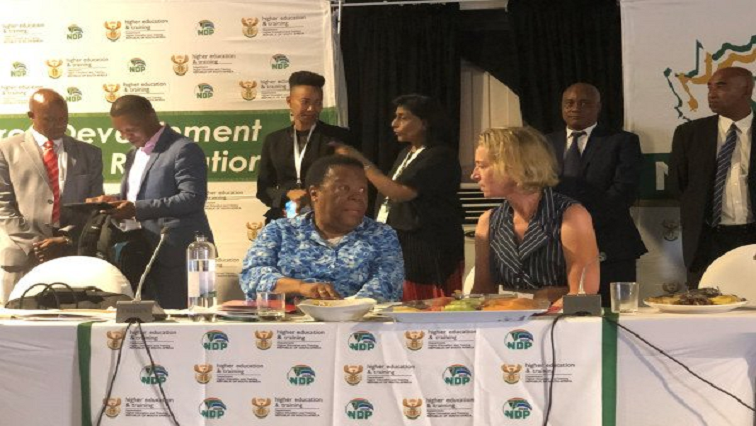 Naledi Pandor, minister of higher education and training, says that we have to look at addressing our production level of high skills. Only 11 of 26 universities offer digital and artificial intelligence-related courses in the country. This emerged during the biannual National Skills Conference in Boksburg. A shortfall of technical skills among graduates took centre stage. A 23-year-old mechatronics college graduate, Athi Lupupwana, is riding the digital wave. He programmed a rob-mixer machine on his own in 2018. Lupupwana says that the robot came standard from Germany. So why would one mix their own juice? Executive Officer: National Skills Authority, Dr. Thabo Mashongoane, says that they need to get more stakeholders to open a more opportunities for the students. A basic and technical skills development talking point is taking centre stage at the conference. According to Minister of Higher Education and Training, Naledi Pandor, we have to look at addressing our production level of high skills. However, the minister says that more universities and TVET colleges must offer courses in digital and artificial intelligence. For Lupuwana, the skill is visible enough and his hope is to transfer it to other young people so that they are able to take part in this robust cutting-edge revolution. This entry was posted on 17 Mar 2019,08:53PM at 8:53 PM and is filed under Sci-tech, News, Homepage Latest Stories Slider. You can follow any responses to this entry through the RSS 2.0 feed. Both comments and pings are currently closed.